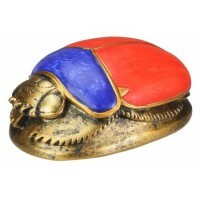 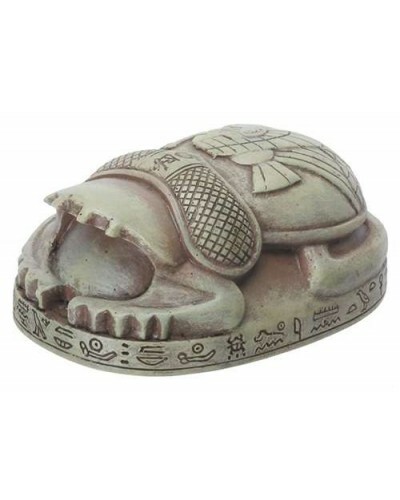 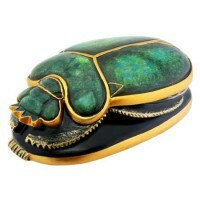 This small, cold cast resin scarab statue makes a great paperweight and is just 3 inches long with a stone finish. 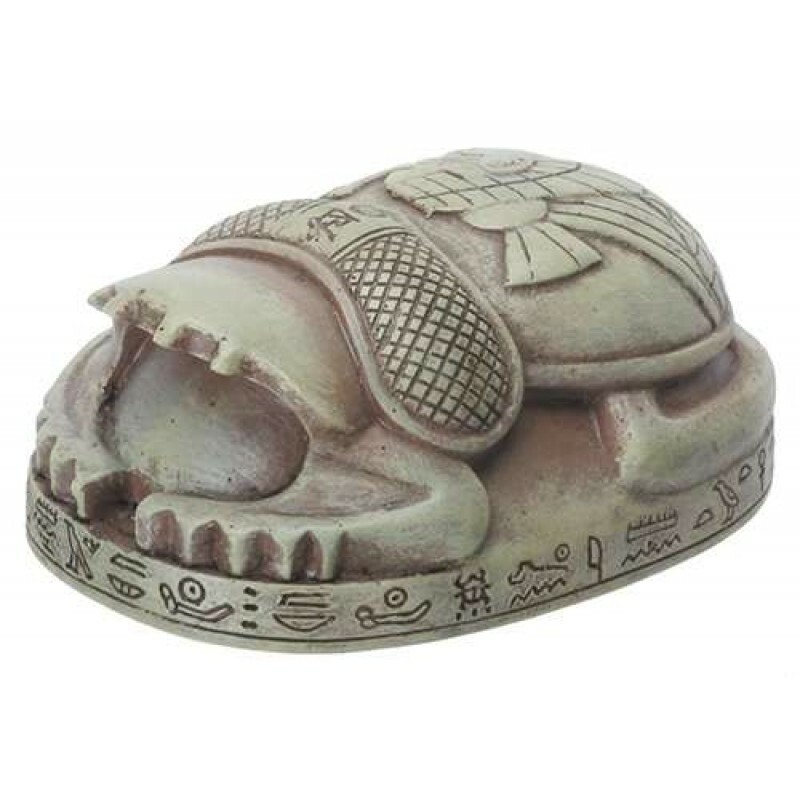 Stone finish princess scarab is cold cast resin but resembles sandstone. It is 3 x 2 x 1.25 inch with great detail - a great gift! 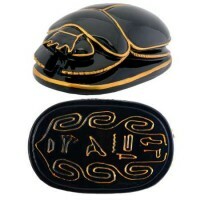 Item Number: YT-8462 | Approximate Size (Inches): 3.00 wide x 2.00 deep x 1.25 high | Approximate Shipping Weight: 0.50 lbs.